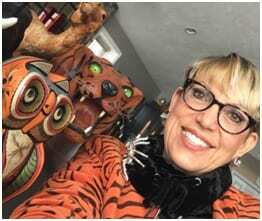 Clinical Psychologist, Dr. Tara Cousineau reacted to the cruelty of mean girls by becoming a kindness warrior and set out to make the world a kinder place. 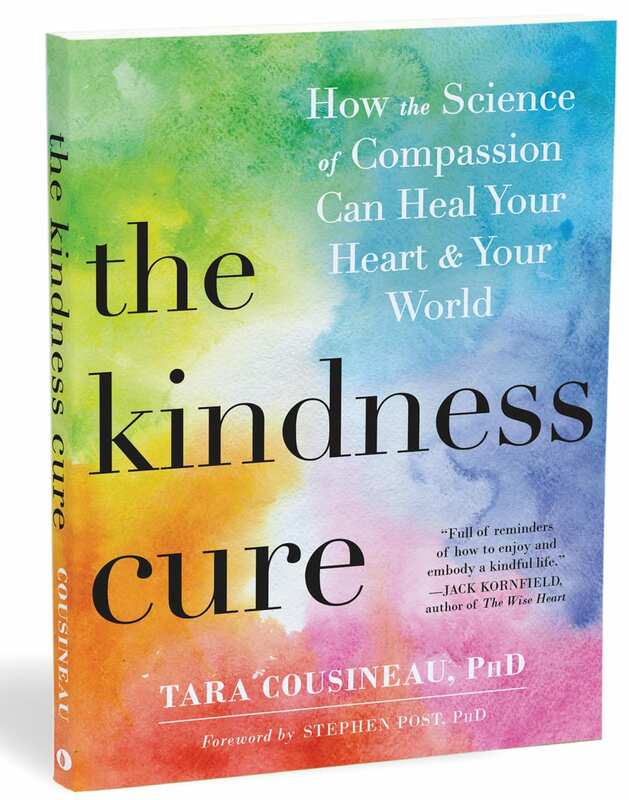 Dr. Cousineau maintains that kindness is a natural human action. We all start out being kind and compassionate to other people, then life happens. We may experience war, trauma, poverty, or other hardships and survival takes over. She maintains that because of our basic need to survive, the initial purity of thought and kindness for others is diminished, or even buried beneath our more urgent needs. However, she urges everyone to work at kindness. Whatever we feel and express is contagious. It’s up to each of us to decide what we want to share: meanness, which is an expression of hate, or kindness–an expression of love. Dr. Cousineau advises that we intentionally choose kindness for ourselves and others. When Dr. Cousineau talks to people about kindness, it is often dismissed as a soft, unimportant skill. But as a kindness warrior, she has the research to prove that it’s not only beneficial for us to express kindness, it’s a healthy choice. She calls it “the energy of healing.” When confronted with a daily bombardment of negativity in the world, she uses kindness and compassion as a heart, mind, body remedy to stay happy and healthy. 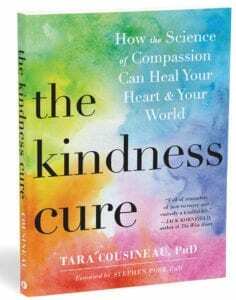 Her new book, The Kindness Cure: How the Science of Compassion Can Heal Your Heart and Your World, shares the science and the technique for creating compassion for yourself and for others. Dr. Nancy shares her experience watching caregivers burn out and become unable to help the people they serve with compassion. Dr. Cousineau says that it’s actually “empathy-fatigue” that makes them unable to continue to relate to the pain and suffering of those they care for. Empathy is the emotion where we put ourselves in someone else’s shoes. Caregivers’ stress response is to shut down when they can no longer tolerate another person’s pain. She says that’s especially true for caregivers of elderly parents with Alzheimer’s. That’s when it’s important to create boundaries and care for and be kind to yourself. Kindness and compassion is an uplifting experience, a tender loving emotion, not a negative one. Saying no, setting boundaries and caring for oneself in these instances, is an expression of kindness for yourself. Dr. Cousineau says that there is a measurable mathematical result from sharing. When we share kindness with a friend, that friend shares it with another friend, who shares it with another friend. When it reaches the third friend of a friend, it mathematically has the capacity to come back to you. She also notes that in the worst of times, her mother told her to look for the helper. It harkens back to “Mr. Rogers Neighborhood,” but is a life lesson. Everyone who has done anything positive in the world has one person who has helped in some way—shared kindness through appreciation of that person’s talent or simply in their value as a human being. It is beyond being nice and polite, it is being truly compassionate for other people, recognizing kinship and unity with them. Listen to this interview for more stories about how kindness can generate positive emotions and results in the world. Check out Dr. Cousineau’s website and take the quiz to find out your kindness quotient. Then get the cure with her new book and set your intention to promote kindness. It will literally lighten your day. Unleashing the Animal Within You! I have worked with women and for women. I have joined a multitude of women’s groups. I have done extensive research. I have many women friends. I am a woman. I have spent time researching, interviewing, and observing women trying to understand the female psyche and what makes some productive, happy, and satisfied and others not-so-much. After many years of trying to understand what makes women flourish I have come to the conclusion that there is no magic formula. There is no prototype that dictates success. 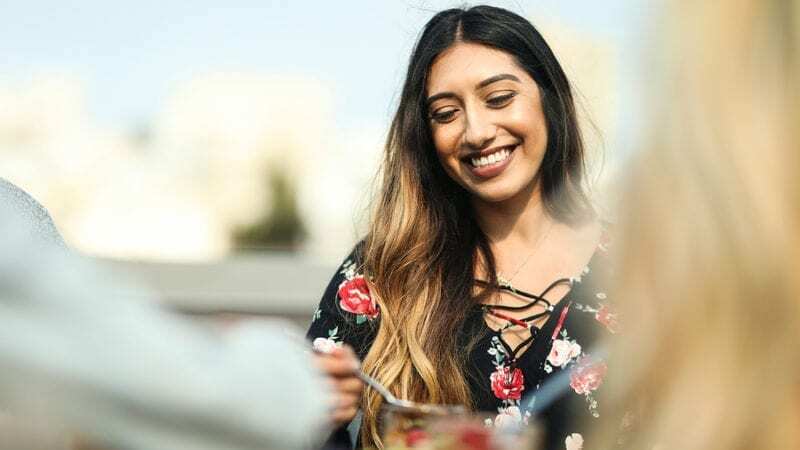 What I have found, however, is that women can develop certain habits that contribute greatly to their well-being and to their prosperity at work and in life. Women take care of everything: children, home, work, men, aging parents, plants, pets, etc. Women don’t realize their own strengths. Women use the wrong measuring stick to judge their own value. 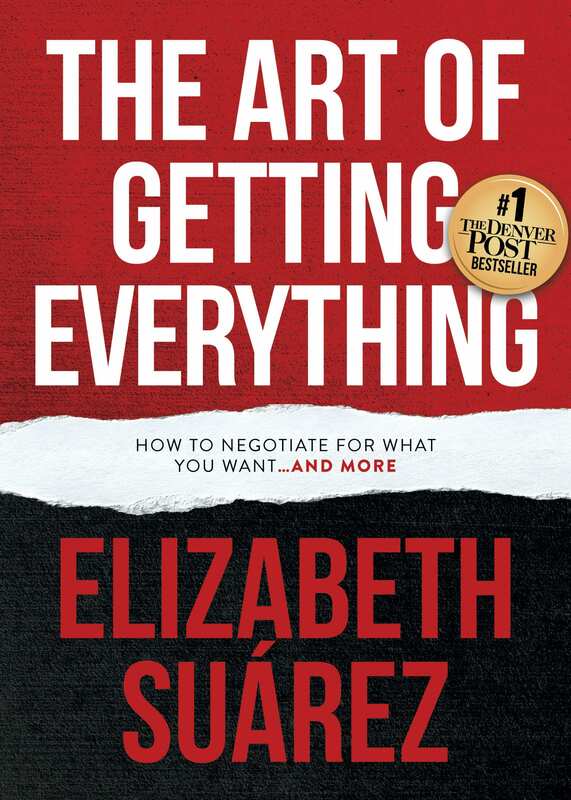 I have also learned what women do or can do to ignite their drive and passion and to unleash their inner strengths and improve their over-all life satisfaction. I have found many life lessons by studying the animal kingdom. The symbolism I have found is (at best) startling and (at least) interesting. What follows is a brief synopsis of the life lessons we can learn by looking at the wild things. I have always loved elephants. They are huge and stately. They have a quiet type of power that has always intrigued me. Of course, I have always cringed at the thought of any animal living in captivity and I believe all should be living free without cages or tethers. BUT, the elephant has taught us something about tethers. When a baby elephant is captive, it is tethered with a rope to a stake in the ground. The baby elephant is kept in its place with this length of rope which allows the elephant a limited amount of space to roam. As the elephant grows it remains tethered by a length of rope to a stake in the ground. It does not try to break free although it obviously could if it tried. The fact is, the elephant learned from an early age that it could not free itself and it has held on to that belief even after it has grown and is highly capable. After all, an elephant never forgets. In my own life and in the lives of women I now know, I have found that we are often tethered. We are tethered to negative feelings about ourselves, our self-worth and our capabilities that were delivered to us as children. These messages may have been sent by our parents, our teachers, the media, or even fairy tales. Maybe they were delivered in young adulthood through toxic relationships or experiences that challenged us. These messages of helplessness and inability grab on and hold tight. As adults this tether continues to restrain us, to hold us back, as these messages play over and over in our heads and in our hearts. Successful women have identified their tethers and have used their strength to break free from them and to move forward away from that which is holding them back and ‘keeping them in their place’. The giraffe with its long legs and long neck teaches us about the importance of vision. The giraffe’s ability to reach high, to see the layout of the land, and to nourish itself from sustenance that few others can attain is an important lesson. As women move into the world of entrepreneurism and leadership, they need to see beyond their immediate surroundings. Successful, productive women look at the big picture, see the potential struggles and ready themselves with foresight and knowledge to manage what lies ahead. They reach. They stretch. They stick their neck out! Another worthy observation about the giraffe is the fact that its strength is also its weakness. The giraffe’s long-leggedness and long neck make drinking water a challenge for the giraffe. She, like us, must learn to accommodate for challenges in life. She doesn’t give up drinking water or she will die. She learns to bend and to find ways to meet this difficult challenge, all the while maintaining her balance and grace. The giraffe also teaches us about strength. When the mother giraffe gives birth, her baby drops to the ground and immediately struggles to stand. Once standing, it tries to nurse. Instead of feeding her newborn, the giraffe kicks her baby and knocks her down. The baby gets up and gets kicked again. Although this sounds cruel, mom knows better. She is teaching her baby to be strong, to get up, to fight, and to succeed. If she doesn’t do this, she knows her baby will not be strong enough to survive the challenges ahead. What doesn’t kill us makes us stronger, right? Successful women use their struggles as opportunities to be brave and to grow! When we think of the owl, we immediately think of wisdom. The wise old owl reminds us to think. 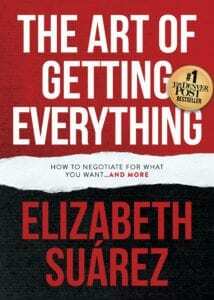 Along with the habit of thinking things through is another habit that successful women possess. That is trusting intuition. Women have a unique gift called intuition. I have found that women who ‘trust their gut’ and can ‘read between the lines’ have a leg-up over others. If it doesn’t feel right, it most likely is not right. Do your homework but trust your intuition. The owl also brings to mind the meaning of OWL in our texting world…Obsessed With Learning! Every successful, productive woman must be obsessed with learning. Always be in the know if you want to be on the cutting edge. Read. Read. And read some more. Network. Learn from others. Do your research. Know what is coming. Know your competition. Do your recall why miners took canaries into the mines? The other day I was about to turn on the cleaning cycle in my oven and noticed the manual told me to remove any birds from the environment because the toxic fumes from the stove might kill them! Besides being obviously alarmed at what these fumes might do to me, it brought to light the effects of toxicity in our lives. The canary teaches us the importance of ridding our environments of toxicity. Successful women know the value of surrounding themselves with positive, uplifting, supportive people. Toxic relationships only hamper our success and our happiness. Strong, successful women do not continue to maintain toxic relationships. They quickly deliver the message to step up or step out! They join networking groups that are supportive and energizing. They socialize with others who are like-minded and respect and encourage them. Zebras are amazing animals. Along with their obvious beauty is their uniqueness. Did you know that every zebra sports a striped pattern unlike every other? Just like our fingerprints, their stripes set them apart from each other. Although each one is uniquely different, zebras have developed a habit that serves them very well! They huddle together in times of danger to protect themselves from looming harm. They stand close together, leaning on each other to create a pattern of stripes that serve to camouflage them from potential predators. As women, we do best when we bond together. We are most successful when we use our strengths to support one another. We do not alienate each other because it serves only to weaken us. We need each other to increase our strength and our impact and our chance for survival! The camel teaches us about conservation. Her characteristic hump allows her to store fat and water and energy to maintain stamina to take that long trek across the desert. Successful, productive, happy women learn from this spirit animal the importance of caring for our inner selves. As women we often find ourselves running on empty. We multitask as we take care of a throng of things at one time. The camel teaches us that we need to ready ourselves for the journey of life by taking care of our mind, our body and our spirit. We do this by taking the time to stop, to breathe, to eat right, to exercise, to meditate, to run, to walk, to read, to just be. Our success needs to start from within. Nurturing our inner selves should be our number one priority. The tigress is the spirit animal of sensuality and sanctuary. The tigress is a symbol of boldness and fierceness. The tiger tells us to be the master of our domain, to go for what we want. The tiger is in tune with the rhythms and motions of the jungle. When the tiger has something to say it roars! Like the tiger, successful women tread carefully and stealthily to pursue and attain what they want in life. They are deliberate. They think. They plan. They also have a vision. They speak up and they speak out! The tiger is also a creature that enjoys solitude. This solitude allows for time to plan, to review, to regroup, to set new goals, and to tend to the heart. Be like the tiger. It IS a jungle out there! As women we face challenges and struggles every day tying to manage multiple things at once. Dealing with family, work, personal issues and a need for maintaining a healthy mind, body and spirit can be a daunting task. A successful woman achieves happiness in what she does by developing habits that allow her to flourish and thrive. First and foremost is learning how to take care of her inner self. We can learn a great deal by looking at the habits of the animal kingdom. These life lessons from the wild can help you unleash your inner strengths and give you the ferocity you need to bring you the happiness and the personal success you deserve. “Your strength gives you the ability to stand alone. Your uniqueness allows you to stand apart. Dr. Janet Rose Wojtalik promotes female strength as an author, inspirational speaker, and leadership mentor for parents, employers, and women of all ages. Her award winning research focusing on the ecology of female leadership has supported her quest to promote strong women and girls worldwide. 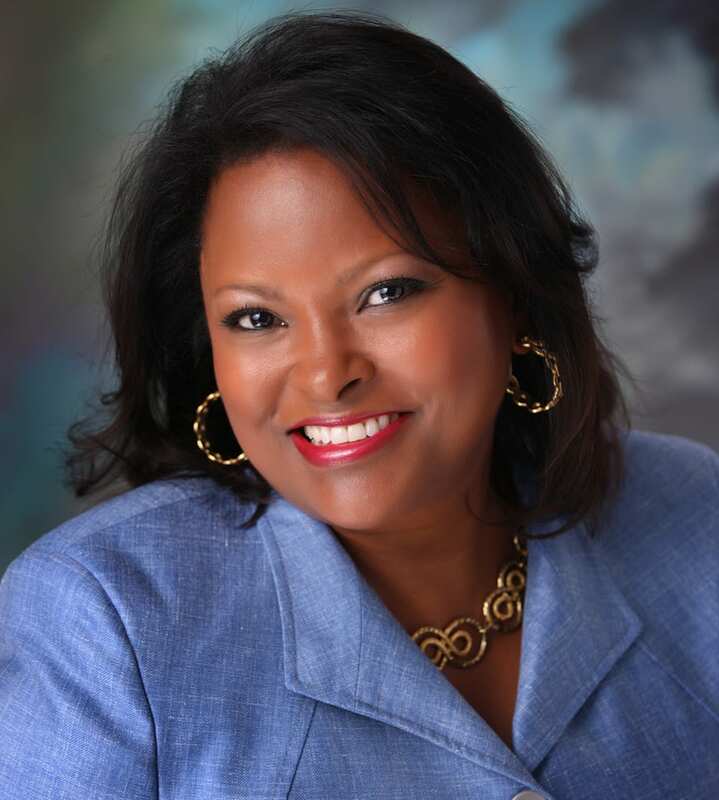 She is a co-author of Leading Women: 20 Influential Women Share Their Secrets to Leadership, Business and Life. Her resources can be found at www.drjanetrose.com. Email: janet@drjanetrose.com. Marina Arsenijevic praises the United States for allowing her — a foreigner — to perform with two iconic West Point musical groups, spreading her universal message of unity and building bridges for the common good of humanity. Marina says that no other country in the world would have allowed her to do that. 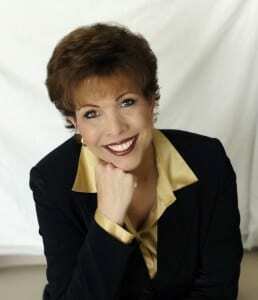 She performed her Emmy-nominated PBS program “Marina at West Point–Unity through Diversity,” with the West Point Cadet Band and Glee Club. She has since become a US citizen and continues to give voice to stories that drive her passion through her music. An internationally famous classical pianist and composer, Marina speaks from her heart through the universal language of music to remind us that no matter our differences, “we are all one under the sun.” Born in Belgrade, Serbia, in the former Yugoslavia, Marina became passionate about piano as a child and had earned her master’s degree in music by the time the bitter civil war split her country apart. At the peak of the conflict, she sought to unify the separate peoples of Yugoslavia by combining Muslim and Christian rhythms and melodies that honored both cultures and all people. In the end, she had to flee Yugoslavia and was permitted by a special congressional bipartisan arrangement to enter the United States where she continues to unify people through her many concerts and compositions. 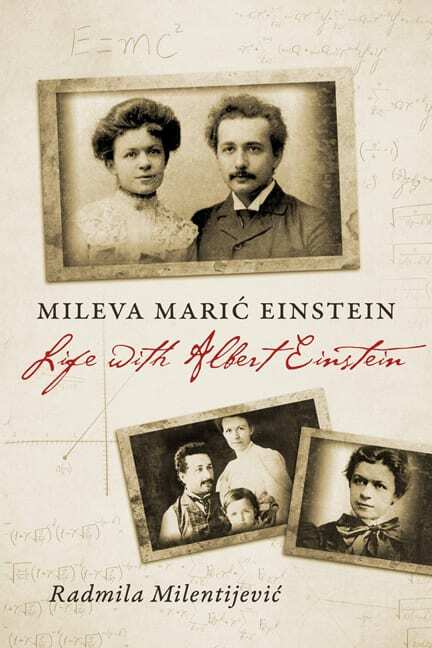 Marina’s current passion is creating a musical play based on the book, Mileva Marić Einstein: Life with Albert Einstein by Radmila Milentijević. 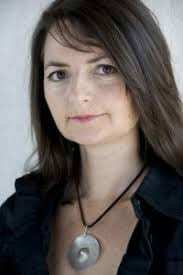 She first read the book in her native Serbian and helped get it published in English. Now, she is working on composing and producing a modern musical story, similar to the tragic story of Madame Butterfly using the connection to music the Einsteins shared. Albert, a good amateur violinist and Mileva, who played piano and tambourine, enjoyed performing together for guests in their home. The most notable thing about Mileva, however, was her contribution to Einstein’s work, for which she received no public recognition. A mathematical genius, she converted Einstein’s physics into mathematical equations. Their partnership is demonstrated in Einstein’s letters to Mileva, in which he refers to all the major papers of the time as “our work” or “our paper.” However, the only credit she received was a share of the Nobel Peace Prize money. Although Einstein resisted, the divorce decree awarded future Nobel Prize money to Mileva as her property. Marina tells Dr. Nancy how her countrywoman sacrificed her own career, a classic female choice, to avoid diminishing the history-making work in the eyes of the world. Marina also notes that Einstein produced nothing significant after the divorce from Mileva, his unrecognized scientific partner. 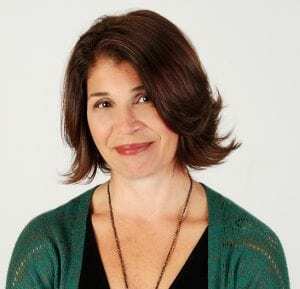 Media maven Elisa Parker travels the world to connect people through their stories. Founder and host of the radio show, See Jane Do, she is a dedicated activist for women, social justice and the environment, which is why she became a Take the Lead Ambassador almost two years ago and co-launched the initiative, 50 Women Can Change the World in Media and Entertainment with fellow Ambassador Tabby Biddle. Elisa says that 50 Women Can is a game changer, as media creates how women and girls see themselves in our culture. To write a new history for women’s leadership, the storytellers have to be women, telling stories to empower women and show them how they can use their intrinsic power. Elisa’s own story about redefining power came when she left her high-paying job and had to become reliant on her husband’s income. She suddenly had to re-evaluate her value and self-worth. 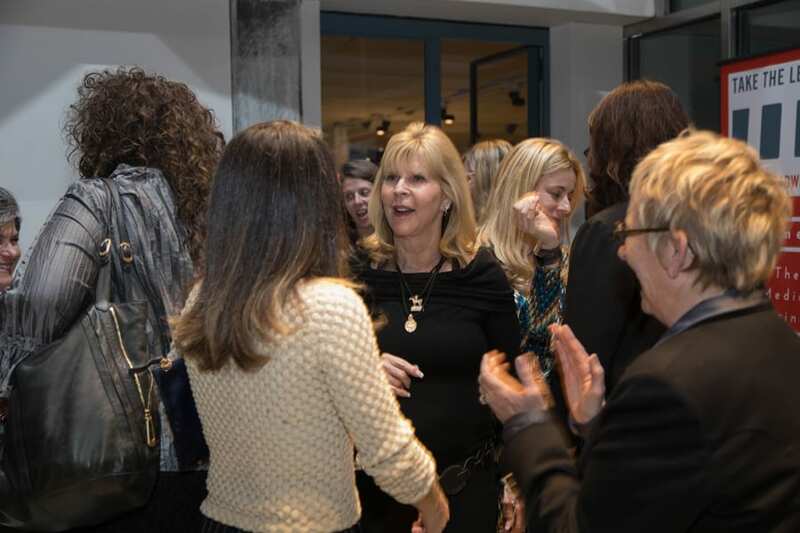 As a result, when she created See Jane Do, she sought to share stories to help women identify their own self-worth without regard to position and income and base their leadership potential on more intrinsic qualities. Now, she says we’re at a paradigm shift and are redefining the essence of power: power can be love, relationships and shared resources. Women increase their power when they come together and support one another to work toward the same goal. It’s about power with and power to, not about power over. 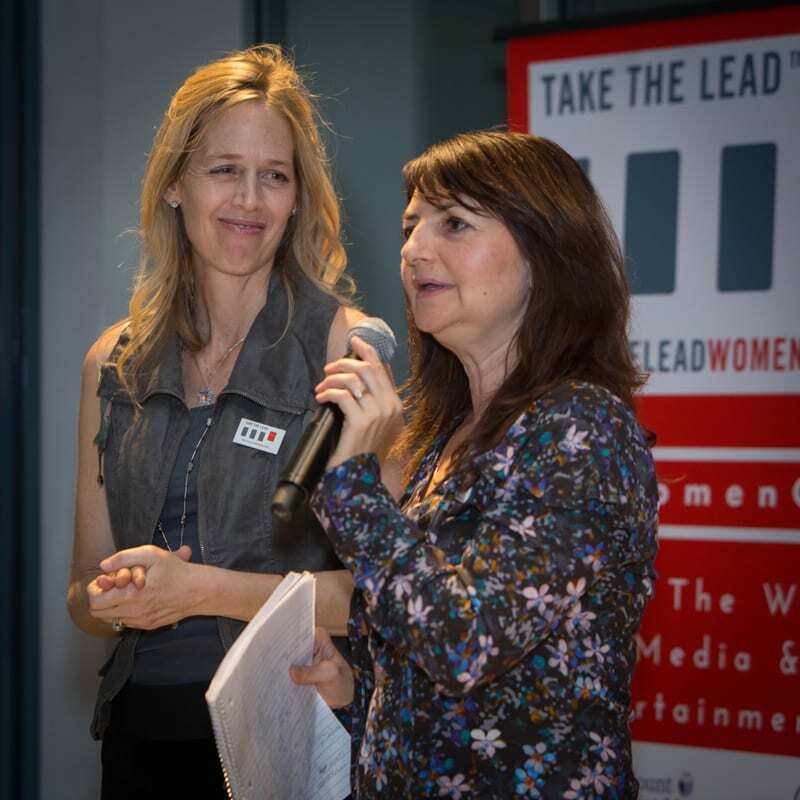 That is the momentum behind 50 Women Can Change the World in Media and Entertainment. 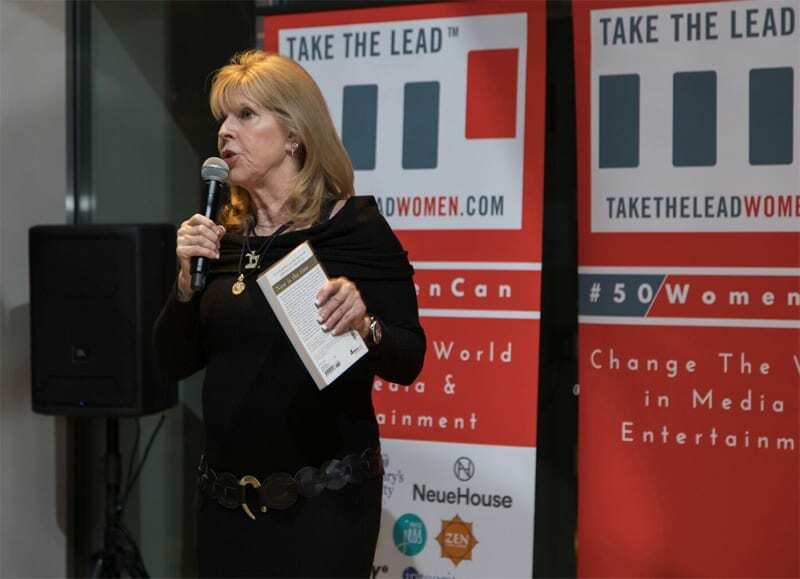 As a Take the Lead Initiative, 50 Women follows a format where 50 women are nominated to be THE women in their field that can change the world to help achieve gender parity by 2025 (the mission of Take the Lead). 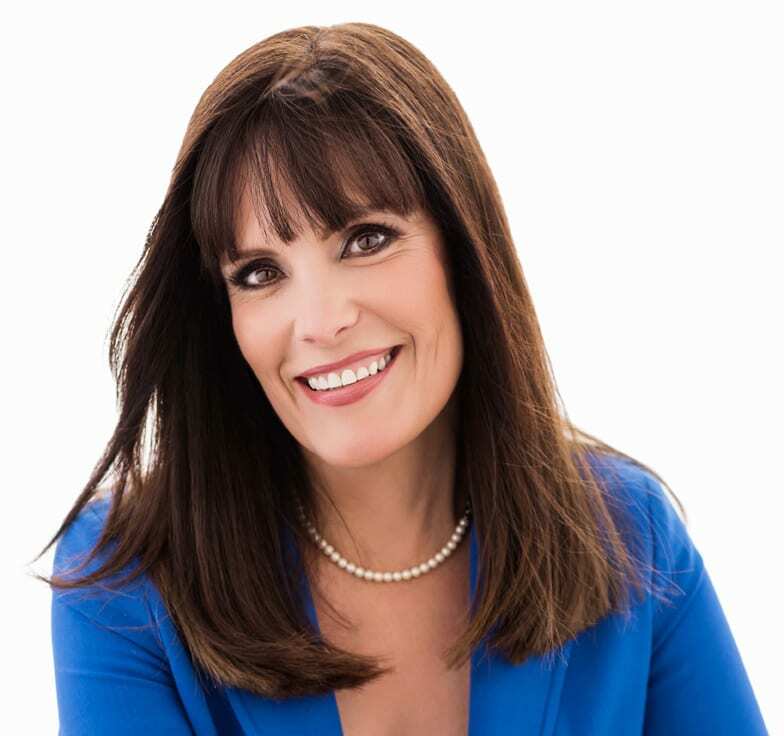 Dr. Nancy put the support of WomenConnect4Good, Inc. behind the Media and Entertainment initiative to help transform the way women and girls see themselves. Until the stories about women are told by women, we remain stuck in the patriarchal system that holds women back. Elisa is very excited about the progress and the way this initiative works. 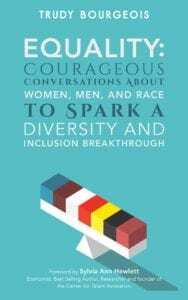 The 50 women are just now being notified if they were selected, and Elisa credits the advisory committee with helping to produce an incredible cross section of women. Specifically, they wanted to choose from those women who have the most influence in shaping the story, which includes being able to develop, support and fund the content. In other words, they wanted to bring together women who are really making the decisions for female-led and female-centered content. Representatives ranged from executives representing most of the major networks, to women who have their own production studios, who are producers, directors, writers, cinematographers, and so on. The group is diverse, and ranges throughout ages, abilities and races. In the end, there were at least 40% women of color, as opposed to the 12% that represents the industry at large. The selection process is only the beginning. The goal is for these 50 women to put their expertise in one place and use it to change the dynamics of the stories that show women what they can be. In this interview, Dr. Nancy talked about “Hidden Figures” and what it meant to budding girl-scientists. In fact, there were many women’s voices speaking out this year in the kind of unison that gets things done. With the #Metoo movement, Elisa said that she feels like they are embracing the controversy at this very moment. However, she also stressed that they need their “man fans,” and count among their partners male advocates that are helping as well. As they move forward into their next phase, they will fine tune the program. The 50 women will most likely break out in smaller groups to co-create something together. What they will do will ultimately be determined by them. Stay tuned for announcement of the winners and more about the progress. Listen to this interview for more inside stories about how Elisa and Gloria met, and how Tabby Biddle and Elisa came to launch 50 Women. Check out the interviews and other posts on See Jane Do, and more. 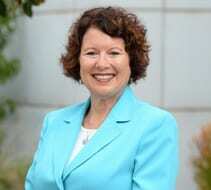 These are exciting times, and Elisa and Dr. Nancy both urge you to participate. Women can do anything together.